Just before Christmas, Tommaso and I were invited to spend a weekend in Barga, in Garfagnana, at the Renaissance Tuscany Il Ciocco Resort & Spa. We were carrying the weight of a year’s worth of uninterrupted work, apart from five days off in September, on our shoulders. It therefore seemed to be the right time for a change of air and to accept the invitation, in order to discover what the Garfagnana had to offer. The Garfagnana, one of Tuscany’s most charming spots, is a narrow area in northern Tuscany, unique in its landscapes. Driving there is wonderful -you’ll spend your time looking up to admire old castles, fortified towers and outposts. In the past, it was a poor, mountainous area, a disputed border area between the Tuscan Dukes and those in Emilia. 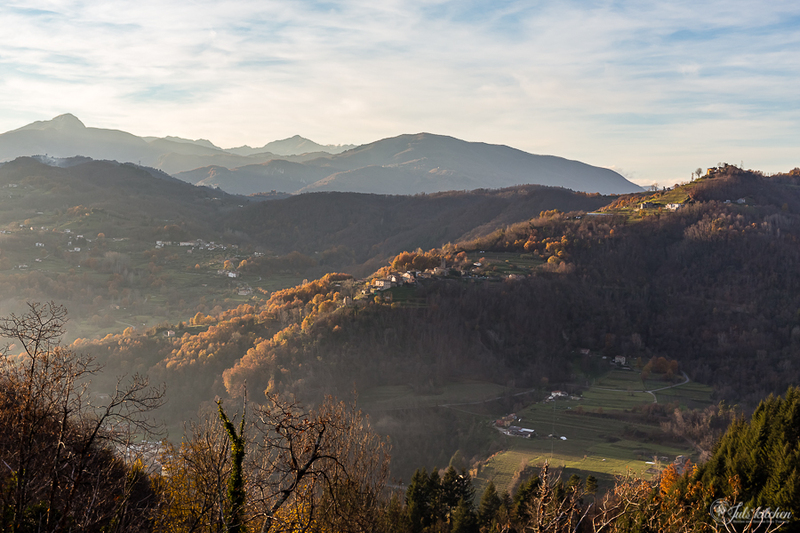 Nowadays, the Garfagnana is a well known destination for tourists, who are enchanted not only by the stunning countryside, but also by the straightforward and substantial cuisine. Many typical products from the area are now Slow Food presidia: they are elements of a poor cuisine which have been reinvented and do not cease to amaze. The resort has recently been refurbished. For years, it was simply known as Il Ciocco, whereas now it has joined the chain of Marriot Renaissance Hotels, ensuring standards of quality are met throughout the world. Despite this, the resort has not broken its ties with the land around it, from its re-style to the staff, mainly from the local area. The rooms are comfortable and relaxing: as soon as you set foot in your room, you feel as if you are going to spend one of the most relaxing nights of your life. In the morning, there is a generous breakfast spread with brioches, jams, toast and homemade sweets. The restaurant also has a menu linked to the territory, with bread fresh from the oven. The view, from the room and the restaurant terrace, looks onto the town of Barga, perched on the hill opposite, often surrounded by a fine layer of mist. You would like to stay there for hours, just watching the light playing with the colours of the houses and in the forests. The bar is modern, the cocktails served are the classic ones, magical potions which will make you feel like you are the right person in the right place. Within the resort there is also a SPA, which can be reached via a long corridor, lit up with windows on the sides and decorated with vases of orchids. Bit by bit, walking through this loft environment, you can leave your thoughts behind you and simply prepare for moments of well-being: massages and specific treatments, Finnish sauna, Turkish baths, multi-sensory showers and hydromassages are available for guests. The resort has much to offer both for those who are there for work and those who wish to spend a few days of holiday there. Its biggest selling point, however, is its tight ties with the territory: this is not only seen with the products, wines and local recipes used, but also becomes a selling point in itself for the hotel. Guests are given tours to discover the area and are encouraged to leave the resort to try typical restaurants and trattorias, for an all-rounded experience and wonderful memories to take away with them. Technically speaking, Barga is not a part of the Garfagnana, which is right there on its doorstep, but belongs to the Serchio Valley. It is, however, a great point of departure for exploring the Garfagnana, in any given season. The town was rightly recognised as one of the most beautiful hamlets in Italy. The best way to explore it all is to walk around the hilly streets, looking over the walls to enjoy fascinating glimpses of the Garfagnana, heading up towards the Cathedral which overlooks the whole town. We explored Barga with Alessandro Manfredini, not only the chef of the Renaissance Tuscany, primarily in charge of cooking classes, but also a great connoisseur of local cuisines. He told us about the strong ties which Barga shares with Scotland. In the past, especially after the war, many inhabitants emigrated to Scotland in search of good fortune. Many of them opened fish and chip shops and elected Scotland as their new home. Nowadays, almost everyone has an aunt or a distant relative who lives in Scotland and who, every now and again, comes back to visit the family. Even the family of the Scottish singer Paolo Nutini has his origins in Barga. An example of this strong bond is the sight of a Scottish phone booth in the middle of Barga, which is now used as BookCrossing point in town. Begin your exploration of Barga with a coffee at Aristo Caffè, opened in 1902, a meeting place where chestnuts are roasted when they are in season, live music is played and where you can find great handcrafted beers. It’s the right place, too, for a coffee, breakfast, or snack. After a look round the market, Alessandro took us to the food store Caproni, an institution in town: this is where you can come to buy cheeses, good prosciutto, local flour and vegetables. In the past it was also a winery where Pascoli’s sister Marilù would come every day to drink her daily Sassolino shot. Stop for a quick lunch at Locanda di Mezzo, located in a small square in the heart of the old town of Barga. Outside the tables are scattered in the square, stirring up memories from the past. Inside, you’ll be welcomed by a sophisticated and traditional space, a recently restored ‘700 historical building. At the Antica Norcineria Bellandi they’ve been curing meat for four generations. The business began right after the war at the foot of the Apuan Alps, in the Serchio Valley. This is the place to visit to discover one of the most representative products of Garfagnana, its traditional charcuterie. They are proud producer of biroldo, now a Slow Food presidium. My suggestion, especially if you are a little sensitive, is to try it, and to enjoy its delicious taste with a slice of toasted bread. Then afterwards, only afterwards, ask how it is made. For those who are curious, and less sensitive, here’s the secret about biroldo: the ingredients are the head, entrails, blood and cheek of the pork. They are cooked for six hours, then deboned and spiced, mixed with blood and cooked for three more hours into the pork bladders. If you do not have time to visit every picturesque village perched atop a mountain peak to guard the valley, it’s worth a stop in Castelnuovo di Garfagnana, the small capital of this area. Here, just outside the town walls, under the duomo, you will find the osteria Il Vecchio Mulino, owned by Andrea Bertucci. It has something of a café, something of a wine bar and sometime of a yesteryear groceries. You won’t find cooked dishes but excellent local products: taste them and you’ll have a precise idea of what the gastronomy of Garfagnana is. The osteria was born in the early twentieth century and still holds the atmosphere of an ancient refreshment stall, with a large marble bar and high wooden shelves. Cheese and cold cuts are served with potato bread, then there’s a tasty farro salad and desserts made with chestnut flour. Wash everything down with an amber spelt beer, nothing is missing. 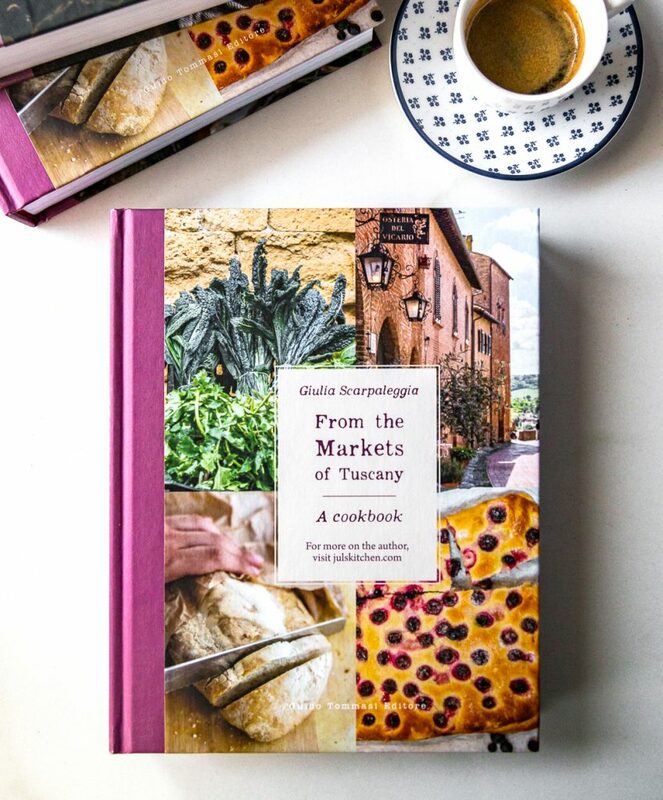 While dining you will be entertained with the stories told by Andrea Bertucci, who opens up unexpected scenarios of historical and geographical influences on the Garfagnana gastronomy. Look at the cutting board on your table: those cold cuts are the clearest example of how the influences of the neighbouring Emilia are far stronger than the more typical Tuscan ones: coppa and lardo are definitely sweeter, on Sunday women roll out by hand their fresh pasta and make tortellini, just as in Modena. There’s an explanation, obviously: from the twelfth to the nineteenth century the Garfagnana was under the Grand Duchy of Modena. During Christmas time every family bakes these cookies in enormous quantities. They are decorative and one-of-a-kind, simply made with shortcrust pastry with a centre filled with almond paste, flavoured with alkermes and sassolino. We made the recipe with Alessandro and now, with Tommaso’s video, we will show you how to make them! Thank you Monica, Cinzia, Alessandro and to all the Renaissance Tuscany Il Ciocco Resort & Spa staff for a warm welcome and an incredible weekend.